I saw this documentary film with my prayer group. The members of our group are very versed and well read Catholics, and I heard comments that they were amazed (and so was I) at how much information they learned about Lady Guadalupe. This is the only physical manifestation we have of a Marian apparation. The film begins by showing how the Holy Spirit weaved together all the pieces of the miracle and how it ties several cultures together. No human could come up with the symbols, the details and how it all fits together. It is supernatural. The film points out that very talented artists have tried to repaint the image but have not succeeded in getting the symmetry perfected. The film begins in Europe and progresses to Mexico and explains how a humble servant, Juan Diego, carried a message in 1531 that changed a culture of death into one of Christianity and life. The film then explores the scientific discoveries of the present day. We see how faithful Juan Diego was in saying yes to the Lady, Mary, and how Mary's image miraculously appeared on Juan Diego's tilma (a cloak made of cactus fiber). The symbols on Mary's mantle spoke to both the Aztec Indians and the Conquistadores, and this converted thousands to the Catholic faith. One of the fascinating facts revealed by the film is how the stars on Mary's mantle perfectly align with the stars in the sky that were present on the date of the miracle. As technology continues to develop, we are discovering more details in the tilma that could only be revealed now. I wonder how many more discoveries we will find as new technology develops. For example, the eyes of Our Lady of Guadalupe, when magnified, show images of those who were present when this miracle appeared. The image is not created by pigment nor paint but sits on top of the fabric, and there are many more amazing facts. I recommend that everyone sees this film. The history and facts are incredible, and the film is very complete. As a convert to the faith, I remember wondering, when I first heard about this amazing miracle, why I had never heard of it before! We have a physical miracle still present today; we need to spread the word. I believe this film can do just that. The DVD can be purchased at www.thebloodandtherose.com. What a great DVD to have for reference. As the website states, this is the battle for our souls. What are some reasons why the image of Mary is still relevant today? 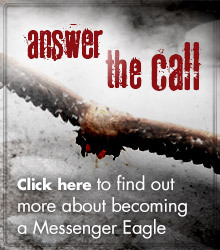 Why do you think many in the world don't know about this miracle? Would you make a pilgrimage to see the tilma if you could? If so why?